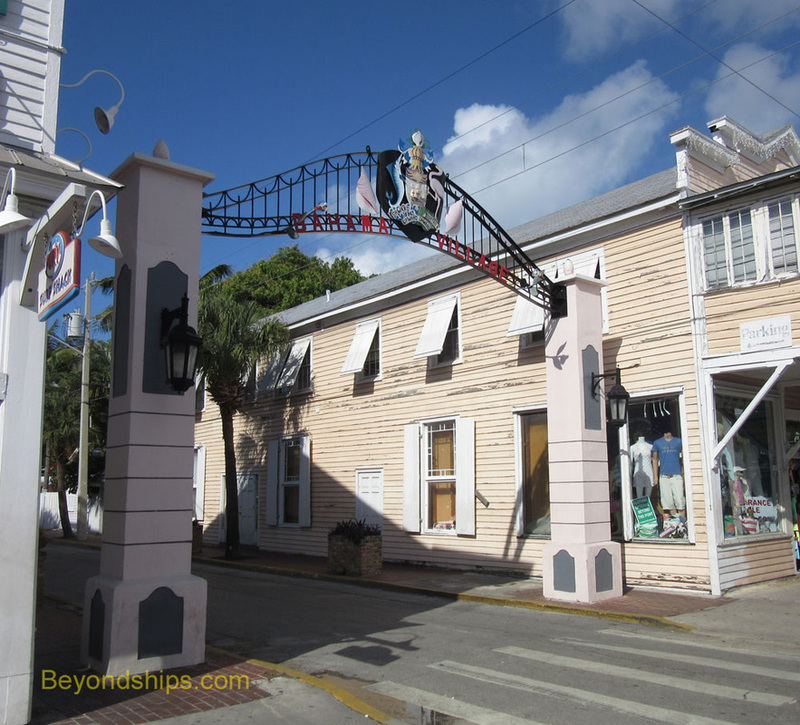 Above: Key West's landmark Customs House, one of the first sights often seen by visitors coming ashore. Key West is unique. It is relaxed, tolerant, laid-back. A mix of an American town and Caribbean climate. An arts center and a Navy base. A place that has attracted great writers and U.S. Presidents seeking an escape. An old town with a young attitude. Geographically, Key West is at the end of the Florida Keys, the chain of islands extending southwest from the mainland of Florida. The southernmost city in the United States, it is physically closer to Havana, Cuba than it is to Miami. On one side of the island is the Atlantic Ocean and on the other is the Gulf of Mexico. It is not a big place. The island is only about four miles long and one mile wide. Walking is a popular way of getting around although there are a number of tour vehicles and alternative means of seeing the sights. Most of the sights are in the historic Old Town section. 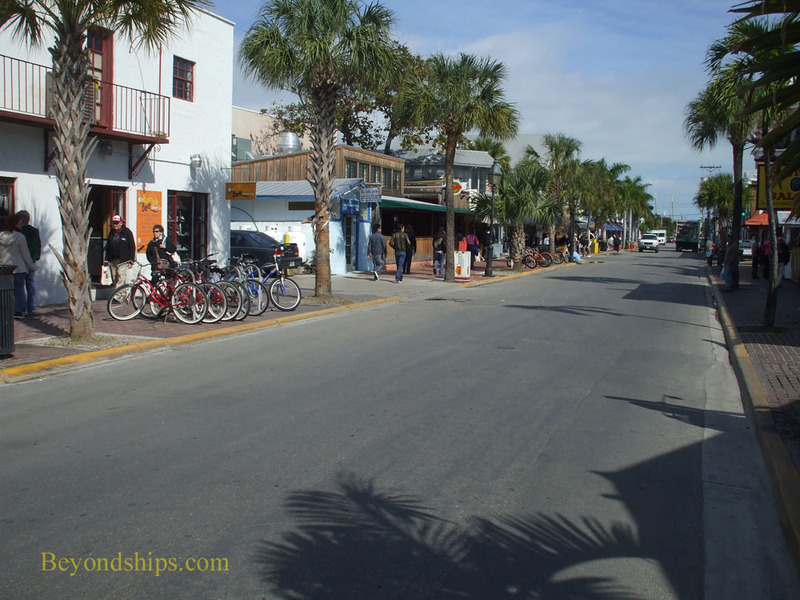 Duval Street is the main boulevard, pulsating with life, bars, shops and attractions. The town is geared to tourism. However, it is not tacky or artificial. 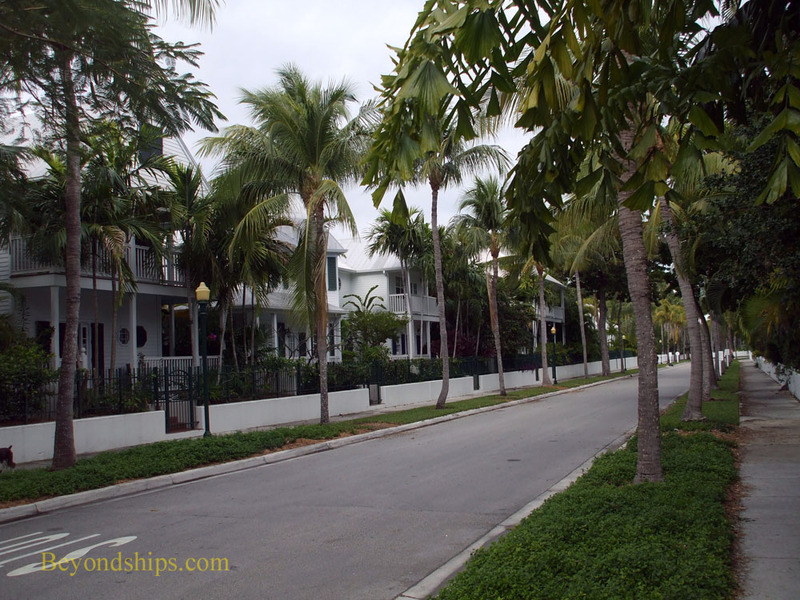 Rather, it all seems part of the Key West experience and it certainly makes life easier for visitors. 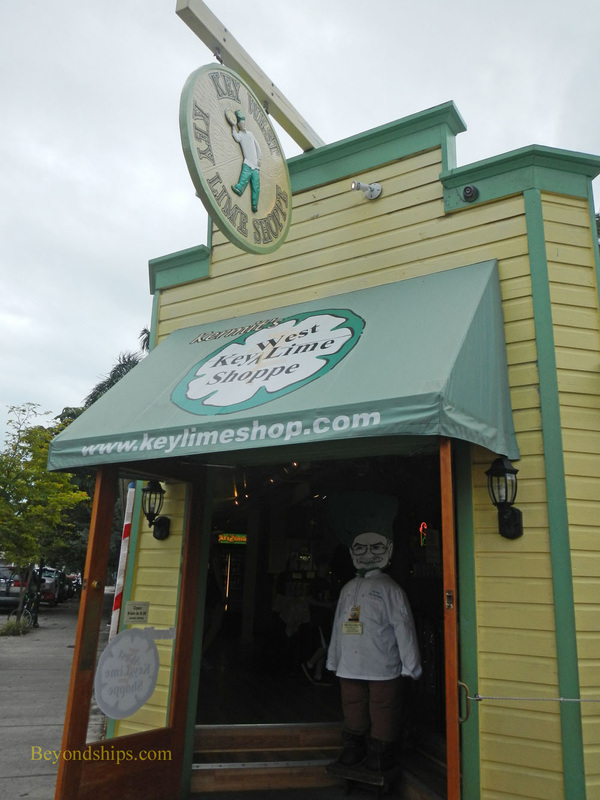 Key West has historic sights, shopping, bars and restaurants. However, the not to miss thing to do is to absorb the atmosphere. It is difficult to describe but cruise passengers who get a taste of it, usually come back either on another cruise or on a dedicated Key West vacation. Some of examples of the architecture of Old Town. 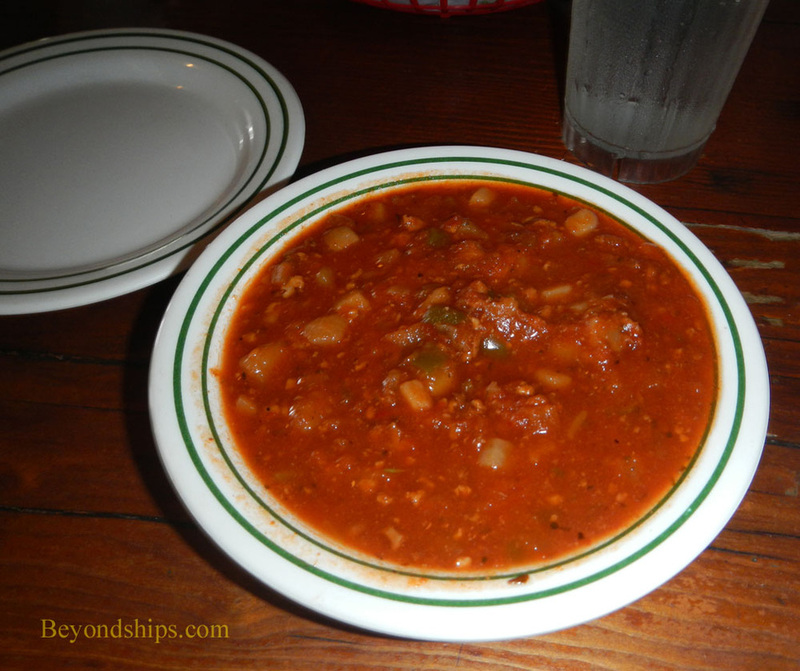 The national dishes in the Conch Republic are conch chowder (above) and key lime pie (right). Left: The marina is full of pleasure craft of all descriptions including the historic schooner Western Union. 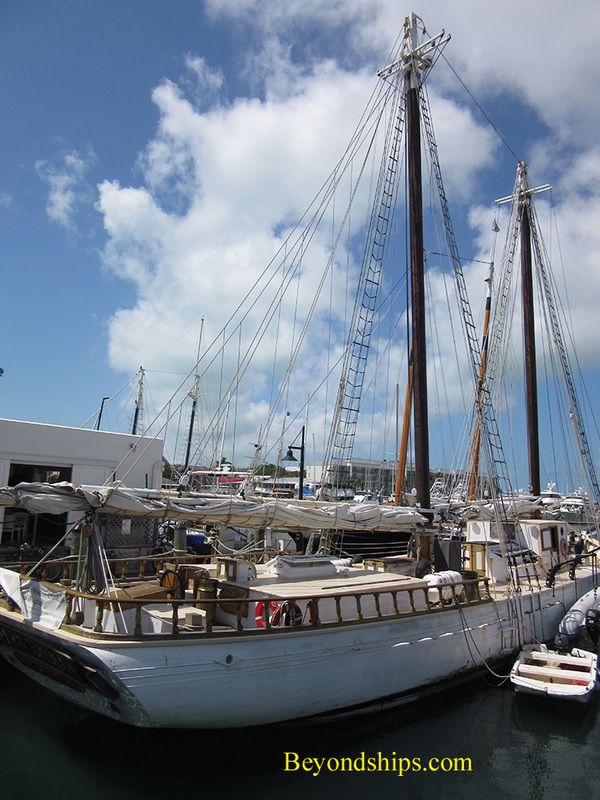 Built and based in KeyWest, the Western Union was originally a working ship but now offers sunset cruises. Above and below: A boardwalk skirts much of the harbor. Above left: A gate marks the entrance to Bahama Village. Originally, the residents of this area were mostly from the Bahamas. Today, it is becoming gentrified and is home to several popular restaurants. 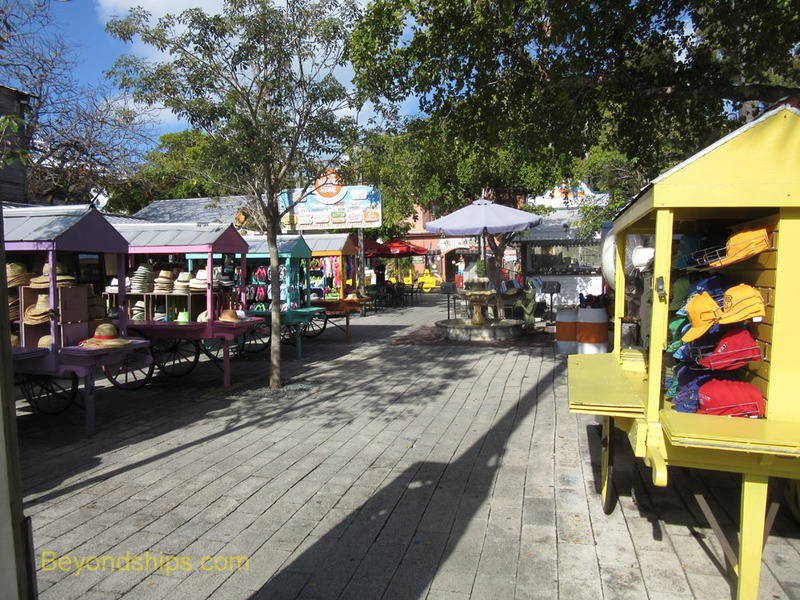 Above right: An open-air market off Mallory Square.